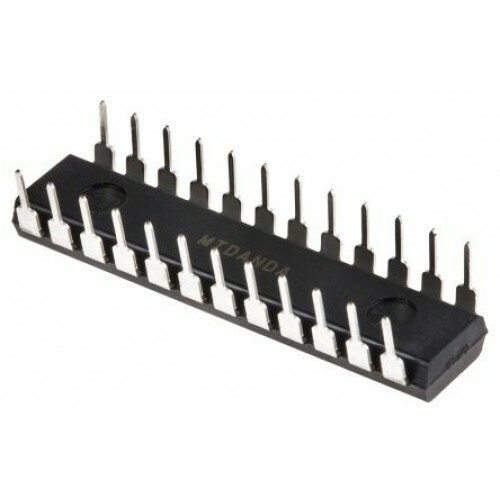 The MAX132 is a CMOS, 18-bit plus sign, serial-output, analog-to-digital converter (ADC). Multi-slope integration provides high-resolution conversions in less time than standard integrating ADCs, allowing operation up to 100 conversions per second. Low conversion noise provides guaranteed operation with ±512mV full-scale input range (2µV/LSB). A simple 4-wire serial interface connects easily to all common microprocessors, and twos-complement output coding simplifies bipolar measurements. Typical supply current is only 60µA and is reduced to 1µA in sleep mode. Four serially programmed digital outputs can be used to control an external multiplexer or programmable-gain amplifier. High resolution, compact size, and low power make this device ideal for data loggers, weigh scales, data-acquisition systems, and panel meters.